Our contact lens opticians are experienced in fitting a wide range of contact lenses to suit your individual needs. You will be carefully guided through the entire process of contact lens wear and maintenance. 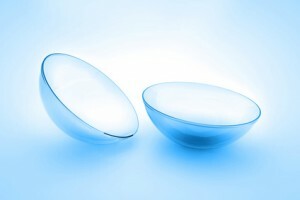 It is recommended that those using contact lenses should have regular reviews to check both the health of the eyes and to ensure that their contact lenses continue to provide ultimate vision and comfort. It is possible for eye problems to develop while wearing contact lenses which can have serious implications for your eye health. It is for this reason that regular contact lens reviews are necessary. It is recommended that you maintain a relatively up to date pair of spectacles in case of any complications that would prevent you from wearing your lenses e.g. eye infections.